Interim Austin Police Chief Brian Manley spoke to Austinites at the Turner-Roberts Recreation Center last night at a city forum moderated by KLRU's Judy Maggio. Residents gathered in a rec center in East Austin last night to hear Manley's pitch for the future of policing in Austin. Johann Lall had nearly made up his mind about Manley when he came to hear him speak Monday night at the Turner-Roberts Recreation Center in Austin’s Colony Park neighborhood. “I think he does a really good job of communicating with the public, which law enforcement is generally not that great at,” said Lall, who works for the Texas Department of Public Safety. But he still had some questions. “I want to see what he plans as far as continuing to improve relations with the public and community policing,” said Lall. Manley replaced former Austin Police Chief Art Acevedo, who left in November 2016 to head up the Houston Police Department. A nearly 28-year veteran of APD, Manley has degrees from the University of Texas at Austin and St. Edward’s University. As a police officer, he has worked in various departments including patrol, child abuse and homeland security. The city announced it would convene two community forums so that Manley could outline his plan for the department and residents could ask questions. Though, Cronk has said the city could still open up a national search for more candidates. 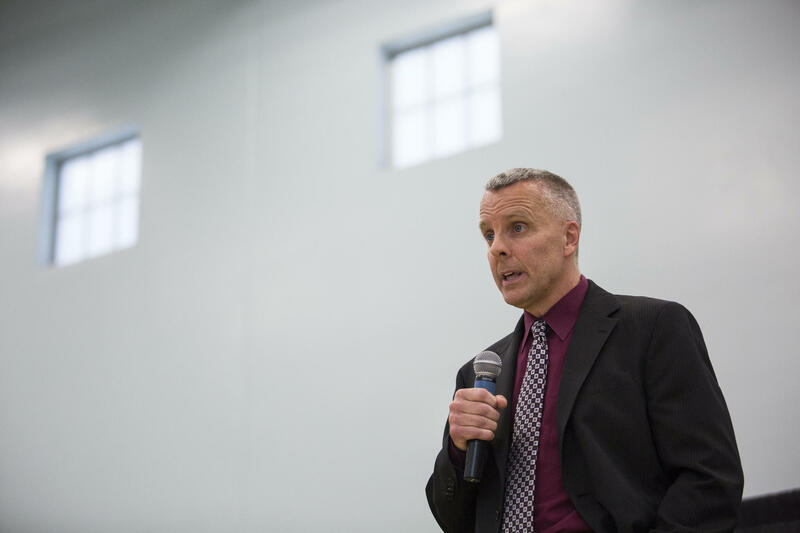 Standing beneath a basketball net at the rec center, Manley recited what he called a "vision statement" for the future of policing in Austin. 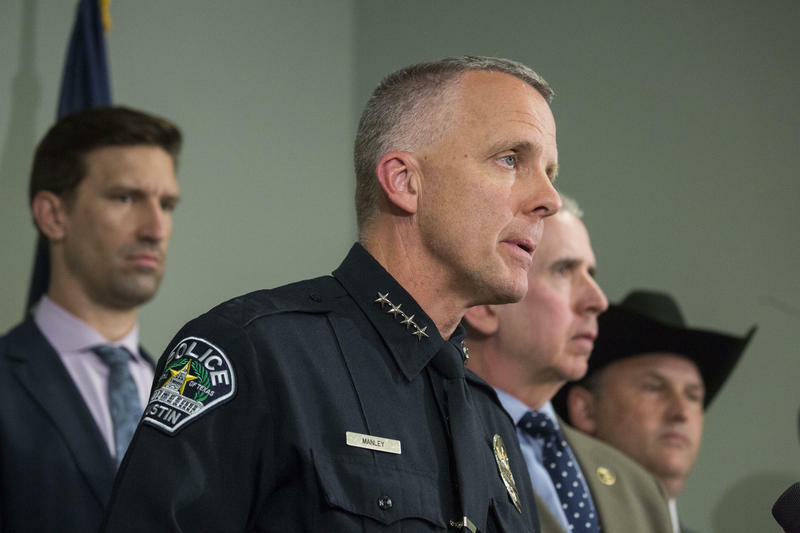 “We want to be a department that is trusted and respected by all and that collaborates with our community to make Austin the safest city in America," Manley said. To explain the first part of this statement – “trusted and respected by all” – Manley gave an example. He said building that trust with a focus on community outreach and policing would make Austin the safest city in the country. The event also focused heavily on Manley's handling of the serial bombings in Austin earlier this year, which killed Stefan House and Draylen Mason and seriously injured four others. When asked by an audience member how APD could better handle mental health calls, he pointed toward a 2017 pilot program the department did centered on homeless outreach. “We have officers dedicated to meeting them where they’re at and trying to link them to services that can let them get better so that we don’t end up having a call for service on them,” said Manley. As the event wrapped up an audience member suggested the city give Manley the permanent job, which was met with a standing ovation. But Kristina Brown, co-founder and president of Counterbalance ATX, a non-profit that works to empower marginalized communities, had more questions. Brown said she would be at the second community forum on May 17 at KLRU's studio to ask more questions. 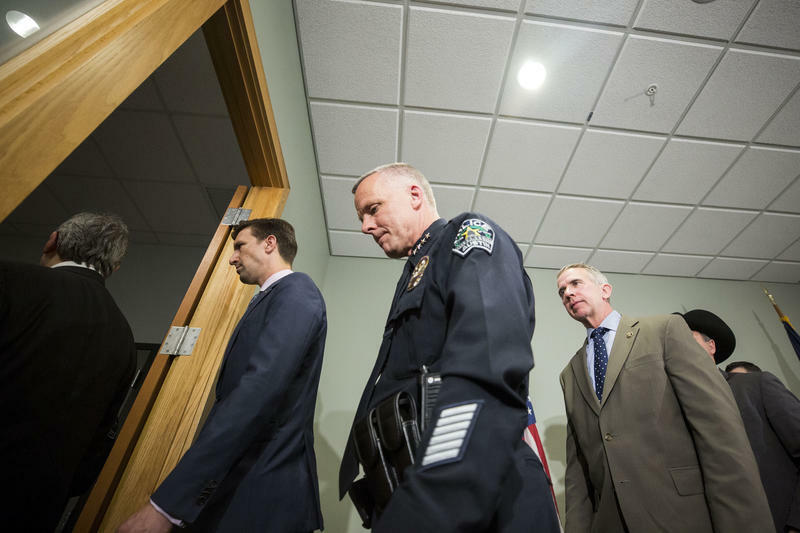 City Manager Spencer Cronk says Brian Manley is the sole candidate to take over the reins at the Austin Police Department. 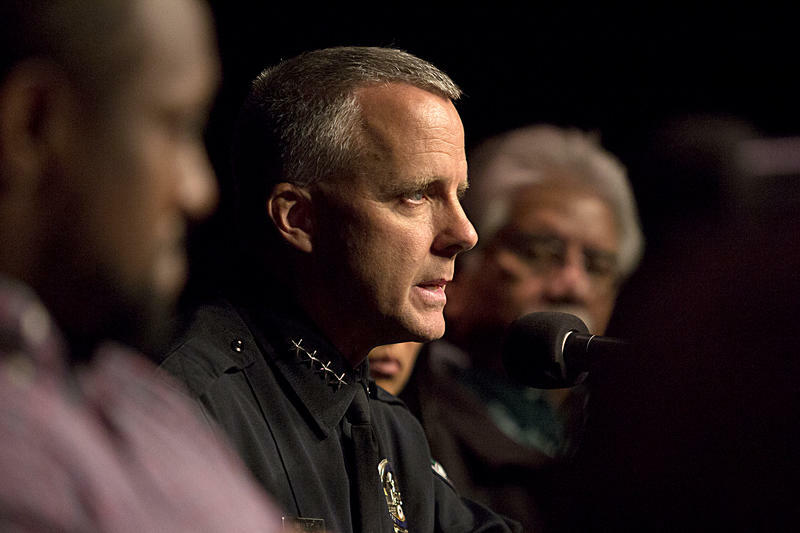 Manley served as the longtime second-in-command to his predecessor, Art Acevedo, and was tapped to serve as interim chief after Acevedo’s departure in November 2016.